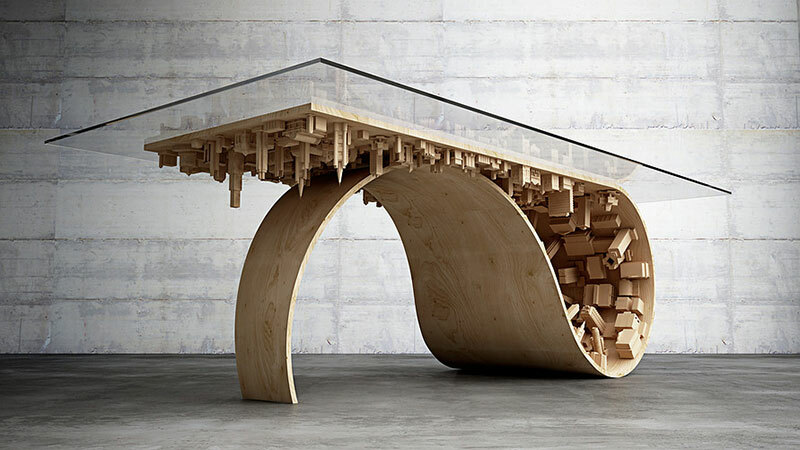 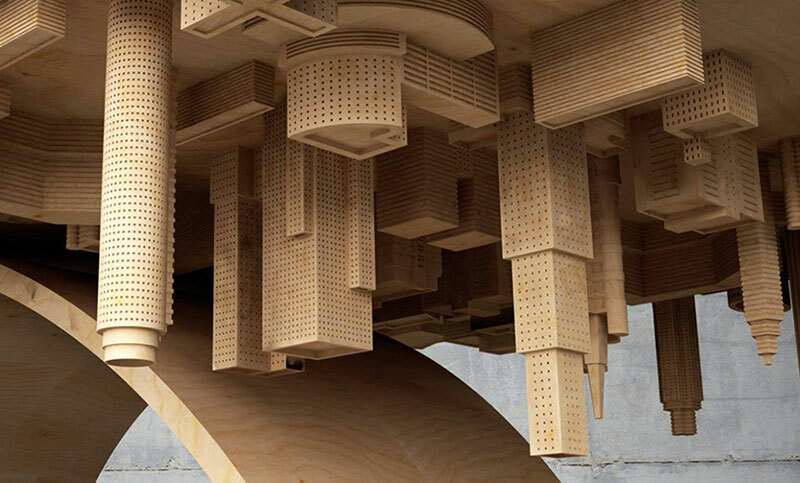 A dining table inspired by the 2010 film Inception by Cyprus-based designer Stelios Mousarris. 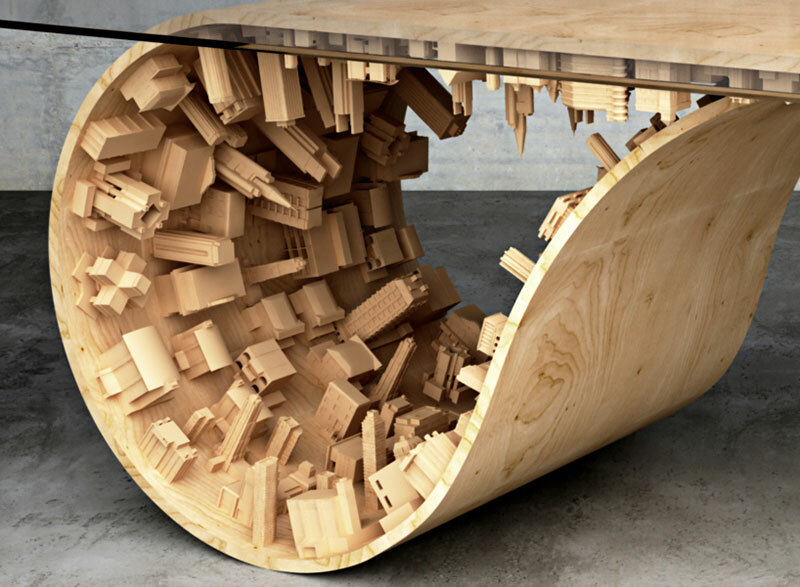 The table is made of wood, steel and 3D printing technology with hand-painted coloring techniques that expands on the "Wave City" theme, which he first envisioned with his coffee table. 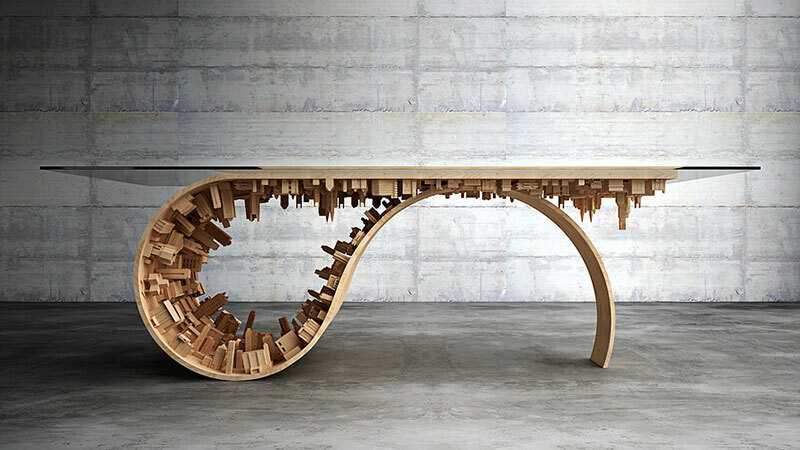 The surreal design sees the table folding onto itself echoing scenes from the film in which the characters enter a dream world and manipulate cities that defy gravity and reason. 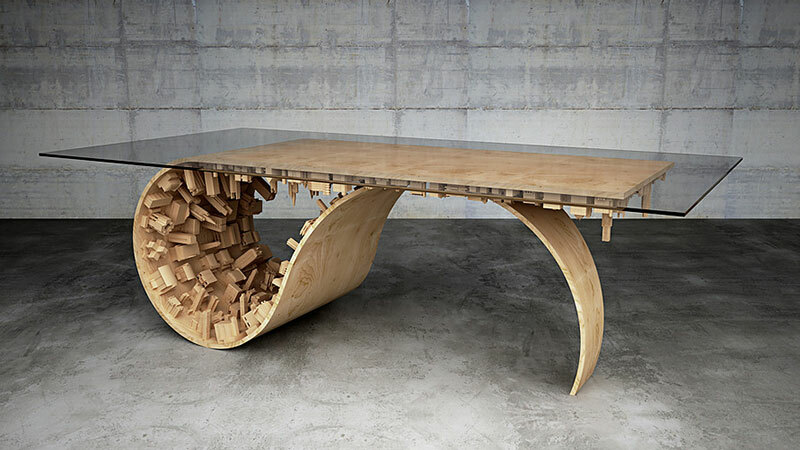 The table has an undulating S-shaped curved and comes with a glass tabletop. 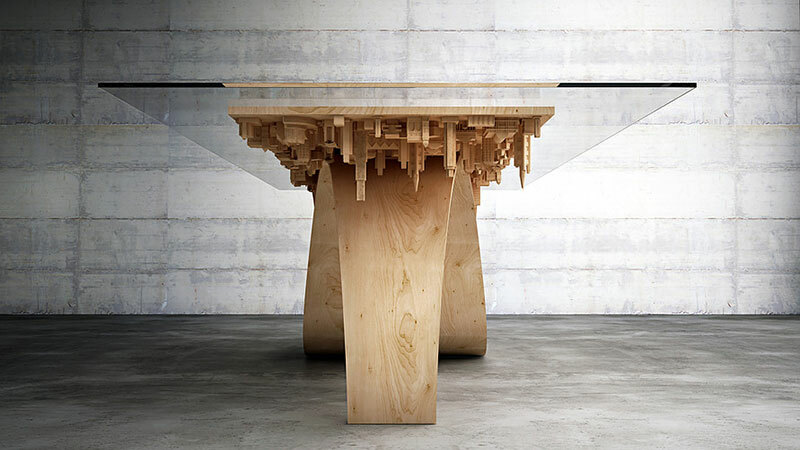 A dining table inspired by the 2010 film Inception by Cyprus-based designer Stelios Mousarris.